For those of you who have read the work of Eckhart Tolle, WordPress might seem an odd medium for his message. But blogging and reading the words of others has not only brought the writer’s work to mind for me recently, it’s brought The Power of Now, the title of Tolle’s bestseller, to my life in a very tangible way. 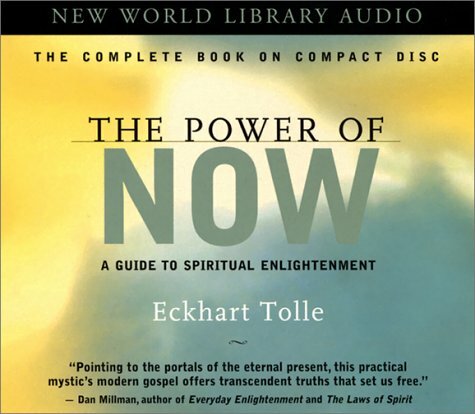 In The Power of Now: A Guide to Spiritual Enlightenment, Tolle writes about the importance of become deeply conscious of this present moment, “the Now.” I’m not sure if Saint Louis writer Linda O’Connell has read Tolle’s work, but she certainly seems to practice what he preaches. A few Saturday’s ago, I met Linda at my first Saint Louis Writers’ Guild workshop at and she gave me her card. Reading this post on her website prompted me to look up an excerpt about physicist Stephen Hawking from Tolle’s book. I found that passage in an article by Sarah Blaskovich on the website for a business and lifestyle magazine I hadn’t come across before. To make a long story short, I soon successfully pitched an article idea of my own to the magazine. Hopefully, that article will appear in the next few months. I can honestly say I would have probably never known about this magazine if not for — both literally and figuratively — The Power of Now. As if those developments weren’t fortuitous enough, I came across a second reference to Tolle’s philosophies in the process of researching another story idea, this time on author, psychotherapist and technology refugee Chellis Glendinning. I interviewed Glendinning several years ago for a column I wrote and was interested in catching up with her again. Although she has since relocated to Bolivia, she graciously agreed to an interview that I have pitched to Tim McKee at The Sun magazine. In addition to working as managing editor for The Sun, McKee maintains This Very Second, a site that showcases his own writing. Given the title of his site, perhaps it shouldn’t have come as a surprise that his most-recent piece mentioned a passage from The Power of Now in which Tolle writes about sitting on a London park bench, watching people pass by while the leaves shimmered in the wind, and becoming suddenly aware of life’s bounties. Maybe the reference is just a coincidence. Maybe McKee won’t be interested in publishing an interview, or anything else I write for that matter. But, coincidence or not, Tolle’s writing, my modest efforts to live in the moment, and the recent bounties in my own life can’t help but make me want to find a nice park bench to sit on soon. Charlene, I am happy to know that my post and our meeting had an impact. Life is like that. We all touch others with our words, our gestures and our “being”. Thank you for mentioning my blog, and I wish you success in all your recent pitches. It makes me think keeping a connection log would be an interesting — though almost impossible — exercise.